Hwy 101 mile marker 162. 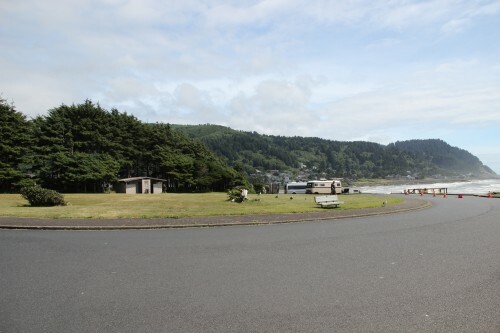 Yachats state Park is off Highway 101 in the town of Yachats. It offers beach access though the beach, like many others in the area, is rocky. This does provide for a bit of "wave action" during periods of high seas. 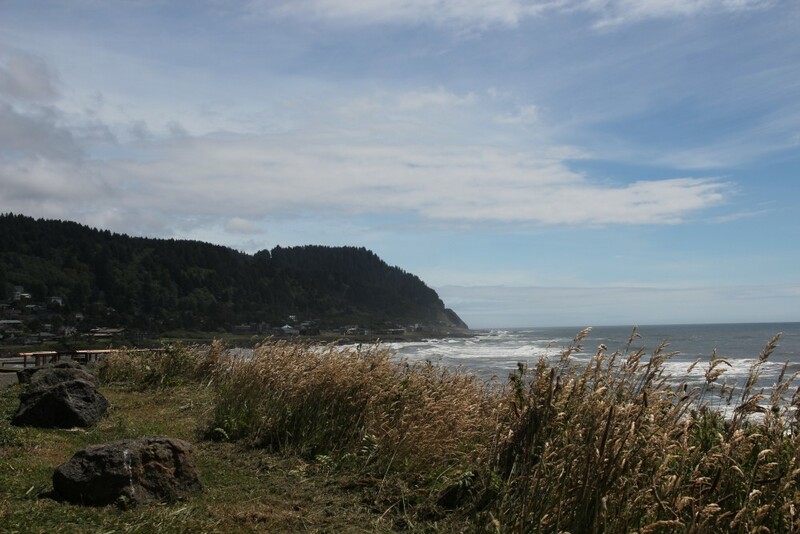 Oregon Parks link:Yachats State Recreation Area No fee required. Here is a view south. 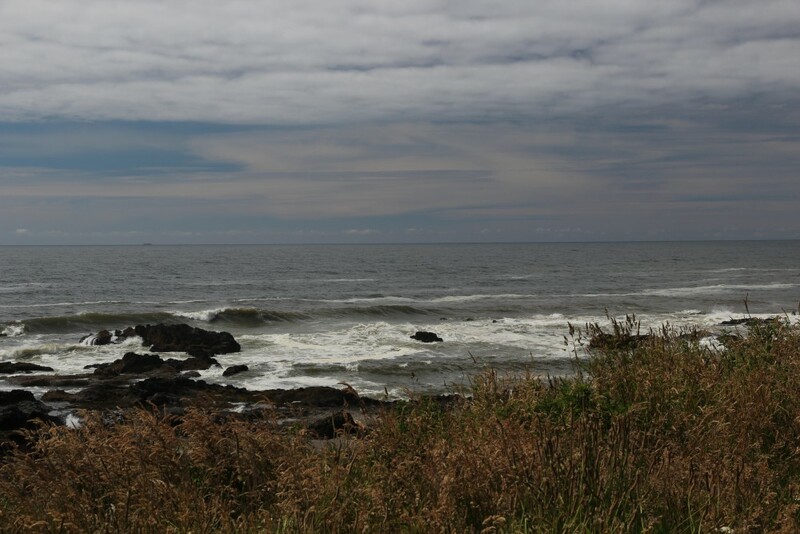 The cliffs of the Cape Perpetua area can be seen across a small bay. A view straight out. Note the rocky beach.